Weekend Gourmet, November 19, 2012 - Hartke Is Online! Welcome back to Weekend Gourmet blog carnival! This is the time we share our culinary crusades and escapades with the Hartke is Online!community. I spent my weekend shopping at the farmers market (boy those scales were heavier than normal) where I bought enough for an army of Hartke’s! I also fermented 6 cups of cranberries, using two different recipes. 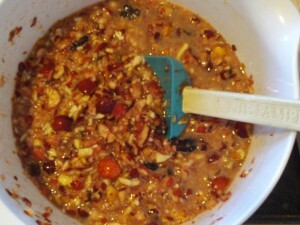 See one of them here, Holiday Cranberry Citrus Relish. And, even found time to attend our Northern Virginia Whole Food Nutrition meetup group, where I gobbled up information about nutrition and chronic disease! Blogging about health, nutrition, and wellness is my passion. This blog carnival is an important way to share what we are all learning on the subject. Bloggers, would love you to share what you have cooking for this Thanksgiving! Turkey recipes, side dishes, desserts! The article can even be from your archives! Just don’t forget to link back to this post from your recipe! And, pretty please share the carnival on your social media. Would love to attract more participating bloggers! Readers, don’t be shy, share links in the comments to recipes you are planning to try this holiday! This week it will be fun to see your recipes that you plan to serve for the Thanksgiving Feast! 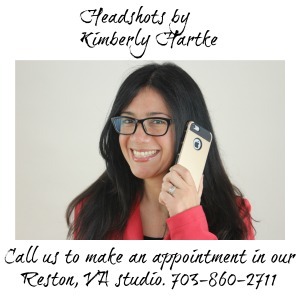 Kimberly Hartke is a featured blogger of Green Village Network. I posted a link to a super pumpkin spiced cacao recipe but also to some information about a group board on Pinterest for sharing healthy holiday recipes. Anyone who wants to pin to the board just needs to ask to be added as a pinner. I’m not looking for a specific food philosophy as much as trying to screen out canned green bean casseroles and cool whip pies. 🙂 I’ll try to find you there and send you an invite. Thanks for hosting! I posted a recipe for Fermented Cranberry Sauce. Still time to make it for Thanksgiving! http://ohlardy.com/fermented-cranberry-sauce See you next week! Thanks so much everyone we are off to a great start. Amanda, guess I better sign up for pinterest!! I left a link to a photo gallery of homemade pies this year all with lard/butter/tallow crusts. Perhaps some inspiration for fellow pie makers! Hi and thanks for hosting! I’m linking up my post Butter Rub: How to Make a Moist Turkey Every Time. I don’t know about you, but I’m not a fan of a dry bird on my table. So I learned how to make a moist turkey with this nearly fool-proof method! "Eat lower from the food chain. Enjoy grass-fed meat, dairy, eggs and poultry."